Shueisha JUMP VR to take part in Japan Character VR Matsuri at Anime Expo 2017! Luffy and Rem are rampaging through LA! Enjoy One Piece and Death Note in VR! Now, the Shueisha JUMP VR team, in collaboration with Dai Nippon Printing, have joined up with Anime Expo 2017 (AX 2017) to participate in Japan Character VR Matsuri and exhibit their VR content. Anime Expo, which will be held in Los Angeles from July 1st, started in 1992 and is North America’s biggest anime convention. There are many different events, such as anime screenings, cosplay, and merchandise stalls, and many Japanese creators attend as guests. During the convention the venue is open 24 hours, with large-scale events leaving very little time for sleep! 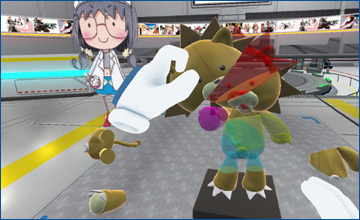 Japan Character VR Matsuri uses the latest VR technology to bring works from various Japanese creators, and their characters, to fans all over the world. They will have a special booth at AX 2017. This year, Shueisha and Dai Nippon Printing will be joining over ten teams of Japanese VR developers at AX 2017. That’s right, JUMP VR is officially invading the U.S. - we’ll be painting Los Angeles the color of Japanese VR! It's not just AX 2017, either! Shueisha's VR games will also have an exhibit at HYPER JAPAN Festival 2017, held in London from 14 - 16 July. 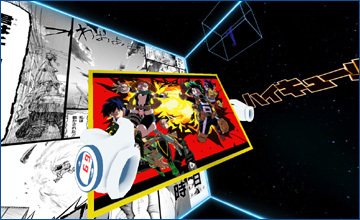 Shueisha Presents 4 Amazing VR Games! 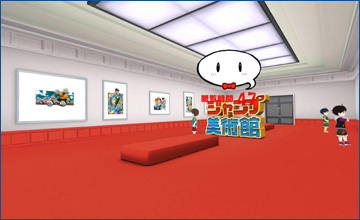 There will be four amazing Shueisha VR games available: One Piece Cube, JUMP Cube, JUMP Art Gallery, and the Death Note VR Escape Game. With the exception of Death Note, these games allow you to dive into a VR space filled with gorgeous manga illustrations and enjoy them up close. As for Death Note, it’s a time attack-style escape game that will leave you sweating and shaking as you try to flee a creepy basement. Enjoy picking up One Piece illustrations with your own hands. 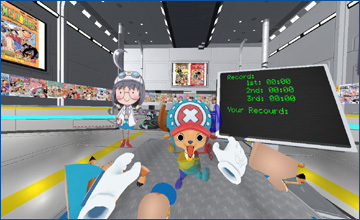 You can build a 3D puzzle of popular character Chopper, too! 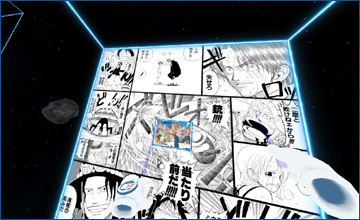 Appreciate illustrations from five popular manga with your own hands in a VR environment. You can also build a 3D puzzle of popular Bleach character, Kon! Enjoy illustrations from popular manga in VR. A surprise awaits you in the final room! 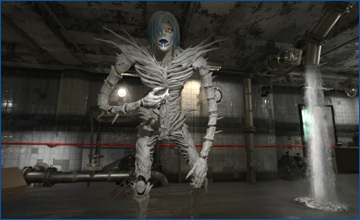 You are the imprisoned Misa, who must work together with the Shinigami Rem in order to escape the basement before it fills with water! Additional exhibiting enterprises and titles released! Cheer for idols at pretty close range! 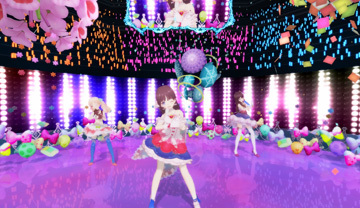 You can dive into music videos and experience live performances of the cute idols. It must be so much fun to experience music and idols in VR! 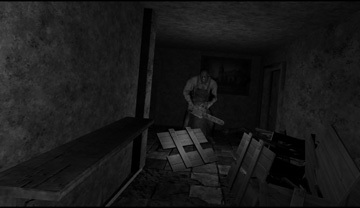 This game is "VR · stealth horror action" of the first person view, hidden from the imminent zombies in the dark, surviving. When you awoke, there was an island of death full of zombies. Somehow you are handcuffed in your arms and you can hear a weird groan from the surrounding darkness. Based on the messages left by other survivors, you have to explore this zombie-ridden island and escape. Cosplay Cast is a service in which you can become a virtual idol and make your own live streaming show. 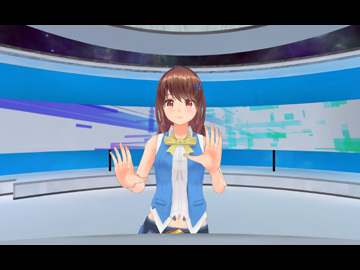 Answer interviews as the virtual idol and make your show. We are looking for your fun performance! 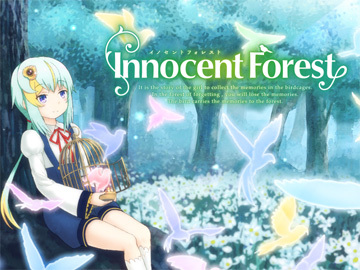 In this forest, people lose one of their memories... A strange girl you meet in the forest Memories turn themselves into birds ...and take off from the cages of people's hearts "Experience a light novel in VR"
Medusa, whose ominous stare turns all who meet her gaze into stone, and her lover....However, they mustn't look into each other's faces. 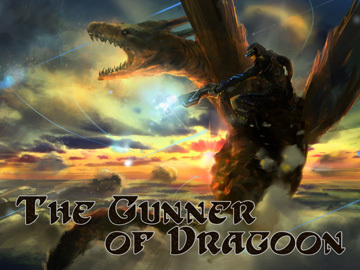 A VR partner action game in which players clear stages with the two characters. This game is a work in progress. Would you like to create and play with your own baby? “Real Baby ‒ Real Family” is an immersive VR baby nursery system that can create your own baby from your photo and then allow you to interact with it in the virtual space. Now, letʼs go and meet your future baby! 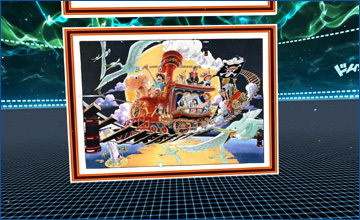 Manga Generator Pro is a VR immersive manga entertainment system where players take on the role of the characters of well known manga scenarios and have original manga starring themselves printed out at the end. 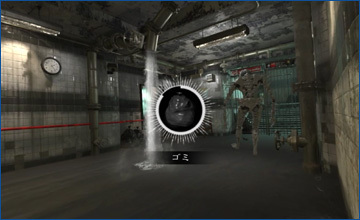 Utilizing Kinect, this system was able to capture and superimpose players' poses along with appropriate atmospheric effects onto each manga frame to create complete manga stripes. 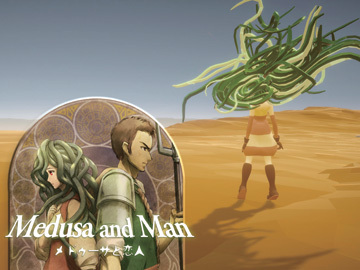 Manga Generator has been exhibited in many countries including France, Japan, and Taiwan. 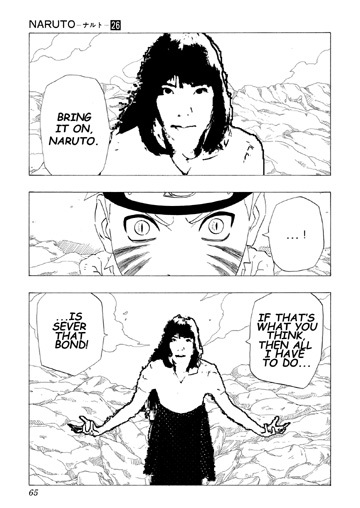 Currently the team is collaborating with Shueisha JUMP to bring modern Manga into your world. There are plenty of other amazing works, too! Let's hope we can also play them in Japan soon! Contents may change without warning. No reproduction or republication of data from this site without permission. ONE PIECE © 1997 by Eiichiro Oda/SHUEISHA Inc. NARUTO © 1999 by Masashi Kishimoto/SHUEISHA Inc. GINTAMA © 2003 by Hideaki Sorachi/SHUEISHA Inc. HAIKYU!! © 2012 by Haruichi Furudate/SHUEISHA Inc. BOKU NO HERO ACADEMIA © 2014 by Kohei Horikoshi/SHUEISHA Inc. BLEACH © 2001 by Tite Kubo/SHUEISHA Inc.
DRAGON BALL © 1984 by BIRD STUDIO/SHUEISHA Inc. ONE PIECE © 1997 by Eiichiro Oda/SHUEISHA Inc. NARUTO © 1999 by Masashi Kishimoto/SHUEISHA Inc. ANSATSU KYOSHITSU © 2012 by Yusei Matsui/SHUEISHA Inc. BOKU NO HERO ACADEMIA © 2014 by Kohei Horikoshi/SHUEISHA Inc.
DEATH NOTE © 2003 by Tsugumi Ohba, Takeshi Obata /SHUEISHA Inc.